Today is my 35th birthday, and I want to give a present to one of YOU! I always get sentimental and a little melancholy this time of year, and as I turn another year older I’m reminded how very privileged I am to be able to work at a job I love. Why can I design, create and blog? It’s because of all of YOU that read my posts, tune in to my YouTube videos and like & comment on my social shares. I appreciate all of you, and I want to show you my appreciation by hosting a long overdue… GIVEAWAY! It’s been far too long since I’ve done one of these, and I wanted to make this birthday giveaway truly epic. What’s the prize? It’s one of my favourite DIY tools: a Cricut! 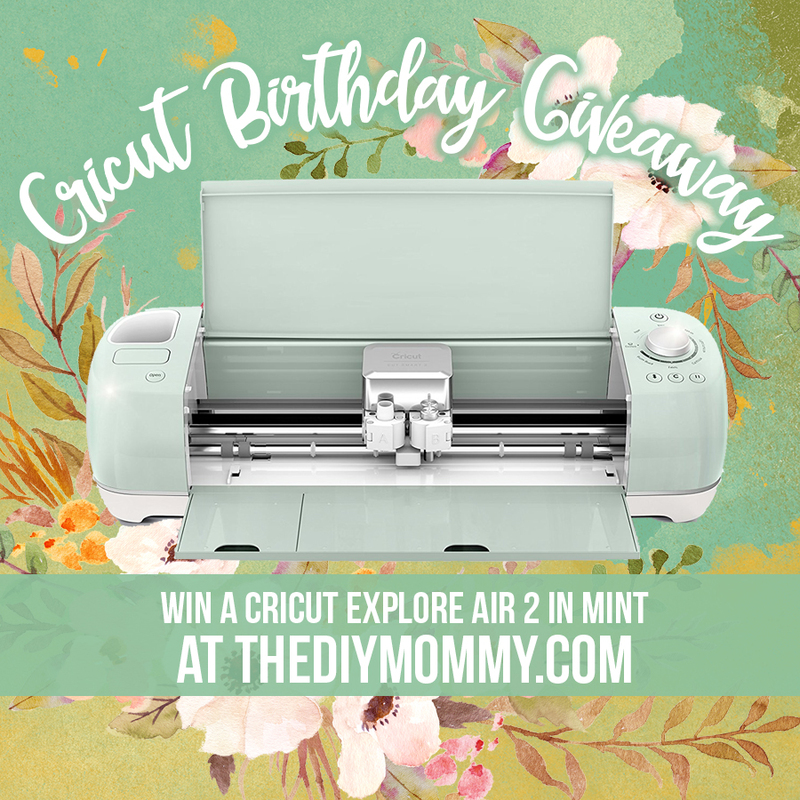 With the help of Cricut who’s sponsoring this giveaway, I’m giving one lucky winner a Cricut Explore Air 2 in Mint! Do you want a Cricut so that you can make your own cut vinyl, paper or iron-on creations? Use the Rafflecopter widget below to enter to win a Cricut Explore Air 2 in Mint! This contest is open to US & Canadian residents ages 18 and up. The contest ends on October 8, 2017 at 11:59PM, and you can find all of the other details and Terms & Conditions in the Rafflecopter widget below. Each entry option = 1 entry, and you can do one option or do them all – it’s up to you. Good luck! Disclosure: This giveaway is sponsored by Cricut. Holiday gifts! Thanks for the giveaway! I would make some fairy decor for my daughter’s room, and make homemade cards with her! 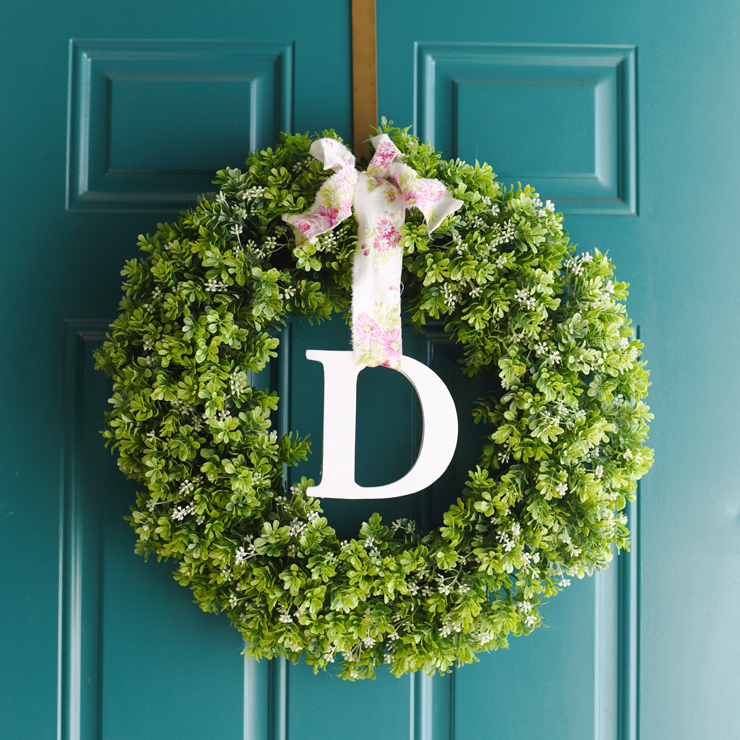 I would use the cricut to make a cool Welcome sign for my porch for Christmas! Your IG is my favorite to follow. I get some awesome ideas for home decor. I’m a DIY mom on a tight budget and it’s always fun to see the ideas you come up with. Happy birthday to you! The Cricut Explorer Air 2 looks incredible! My cricut (very old) went out in my a month ago. This is an excellent giveaway. I have been wanting to get a Cricut for a while. Happy Birthday! Thank you for all you do! I would make everything and anything! I think I would start with decals for my sons me-made tee shirts. He loves pops of color and letters. Happy birthday! That mint color is beautiful. I would love to be able to make stencils and decals. Happy Birthday! What a nice giveaway, thank you for the chance to win! I would LOVE this! The projects you made are beautiful. Thanks for sharing all of your talents with us. Happy birthday!! Being a military wife, DIY projects really help making our houses a home. Thank you for all the projects you post!! Love your blog Christina! I watch you on YouTube and follow on Instagram! I would use the Cricut for making signs for my home as well as gift tags, gifts for friends and help with my son at school. So many possibilities but these are just a few I can think of right now. I love your idea of using stencil for the coffee machine and a pillow! You always inspire me! Thank you and Happy Birthday! Monogrammed sweaters, shirts, mugs, toques, hats (any clothing and accessories) for my family’s upcoming 40th Annual Family Reunion 🙂 it would make everything so much easier and cheaper!! Happy Birthday! Love your creative ideas! Thanks for the giveaway! I would use a Cricut to up my Halloween costume game! I would like to make Christmas gifts and cards for my family. Thanks again for this opportunity. 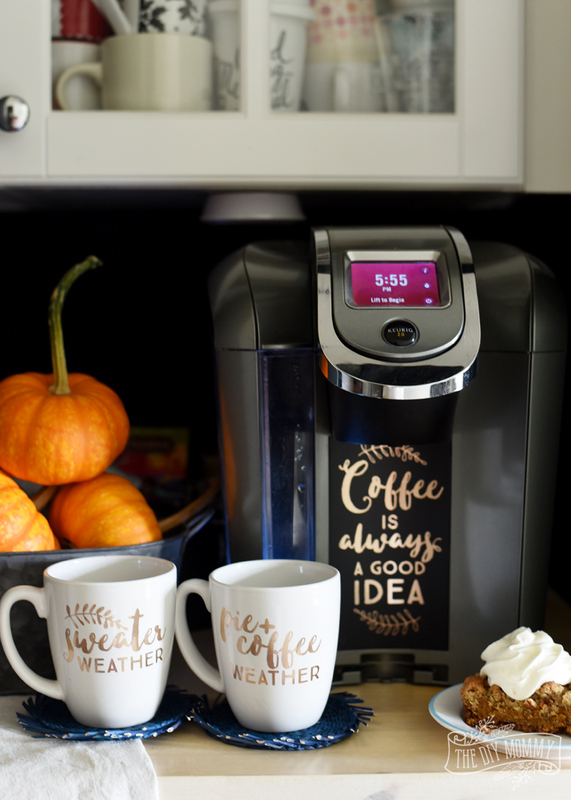 I would use the cricut to decorate my collection of travel mugs, my old tired kitchenaid mixer, and to spiffy up my washer and dryer! Cristina, I always enjoy your posts and your videos. I’m amazed at all you accomplish. Would love the chance to win the Cricut! Happy Birthday. We are expecting grand baby #6 in Feb so I am sure I would make some wonderful projects for the new baby as well as all my other grandlittles. These are all super cute ideas. I had no idea the Cricut could do all of these designs. What would you make with a Cricut? I would use the Cricut Explore Air 2 to make labels for my essential oil blends and holistic remedies/beauty products as well as DIY projects around my home and gifts for friends and loved ones xo happiest of birthdays to you! I would love to make a few signs for thanksgiving! Happy Birthday! I have wanted a cricut for so long. I absolutely love your videos! You have such a pleasant eye for things. I love how innovated your diys are, yet simple at the same time. What an awesome giveaway! I would love to make some wood signs with a circuit. And also that pillow you made looks so pretty! Thanks for inspiring and motivating me every day! Good luck to all! I love ALL your DIY! I would definitely make some of your creations if I had a Cricut! I would use it to custom design party decor and t-shirts. I would love to make my own decals for pillows and mugs, that looks amazing! I have so many craft ideas that would come to fruition with the Cricut! 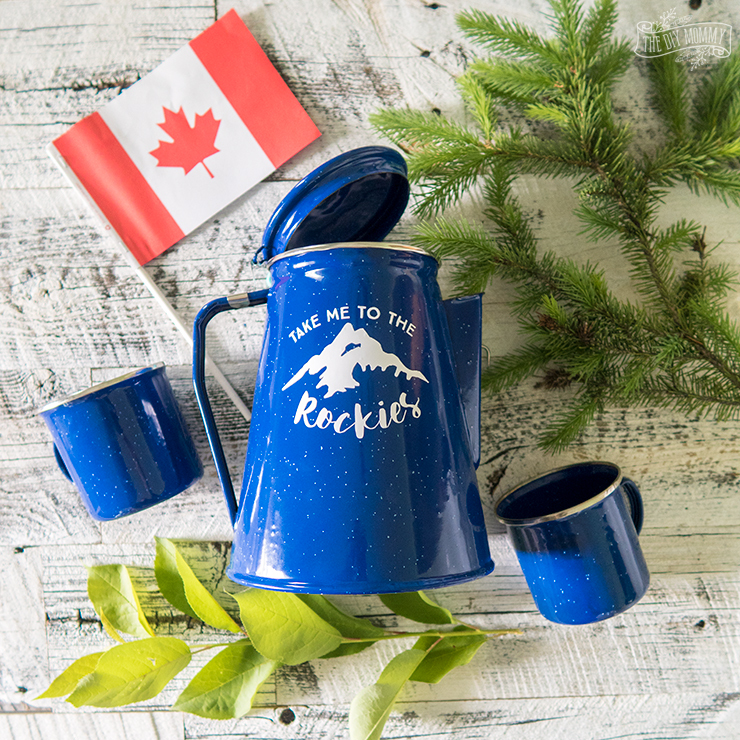 Special mugs for those I love, gifts for my son’s grandparents, the ideas are endless! Keeping my fingers crossed! Thank you for doing this giveaway and happy birthday! I would use the cricut for making signs and all sorts of decals. All the things ! I own a crayon boutique and I would use the Cricut to design the fun, customized inserts that go into my party favor packs. I would use the cricut to help me do holiday decor, cards, and my kids birthday party decor!!!! Happy Happy Birthday!! You are such an inspiration! I would love to try my hand at creating the creations you do with the fun gold script font! Totally my style. Thank you for sharing this opportunity. I would use it to make the mugs! So creative. I would live to have a circuit. I have two little granddaughters that visit me. And I would love to make their bedroom look like little princesses. They are 3 & 4 years old. Wow, What an awesome thing to do on your birthday!!! I am new to your blog post and very excited to be here. This is my first blog and I am so happy. Happy Birthday! !🎂🎈🍷We would love to have for our scrapbook room. Thank you. What WOULDN’T I want to make with a Cricut? I can think of so many fun projects! Acid-etched tumbler glasses, fun wall decorations for my son’s room, office decals for keeping all my projects organized, the list goes on… Thank you for hosting this giveaway, and most importantly, Happy Birthday!! I have always wanted a cricut machine, I love them. I love the ideas you posted. I’ve been wanting one to make cards. I have a friend that does it and her cards are stunning. I would love this! I do wooden signs for myself and free hand them, using the cricut would be way simplier! I would be so excited about winning that I would have to make a thank you card to send to YOU!! I have 3 kids as well and I think the possibilities would be endless with one of these machines! I would make alot of xmas gifts. personalized little pursed with the faux leather i have seen alot of projects. home decor signs, growth charts, and of course Halloween shirt (my birthday). Before i forget Happy Bday. your not older you’re wiser. I would love to make all sorts of crafts for myself and my kids. I would love to create crafts for teaching but also for organizing my home! Ah, the possibilities! 🙂 Lately I’ve been thinking of Christmas and diy decorations and presents! I could make labels for jars to put my homemade candy in, tree decorations, personalized stuffies for the nieces and nephews, the list goes on! I’ve always wanted a Cricut!! I think i’d try making decals first. I tend to hand cut and hand trace alot of my crafts and i know this machine would be a huge time saver. Thanks for the great giveaway! Happy birthday! I would make some fall pillows, Christmas signs to set out on my porch and Christmas cards! I would love to make pillows with the cricut! I would use the cricut air 2 to make all sorts of decor for my home! 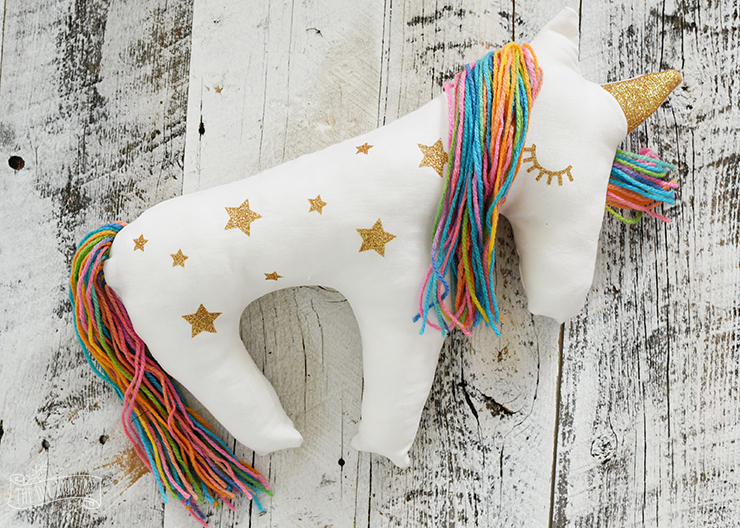 With pillows like that super cute fall one you made! Happy Birthday from one DIY mommy to another! I would use the cricut to make birthday party decorations…banners, invitations, cupcake toppers, goodie bag decals and all kinds of other decor. 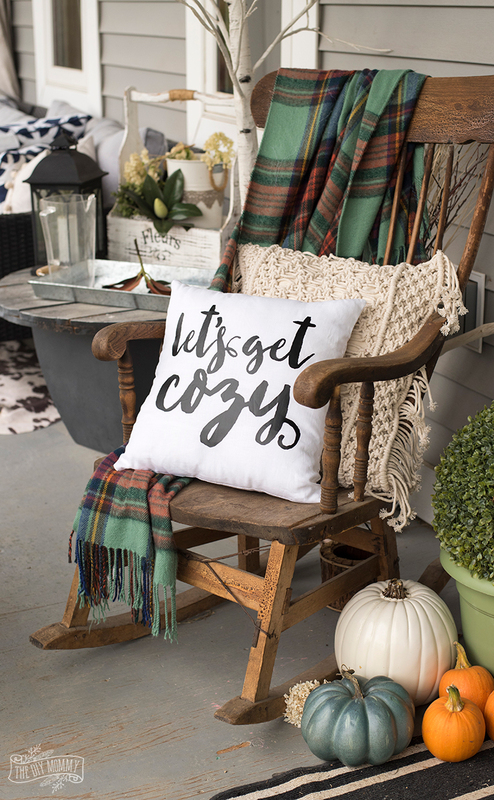 I would make some fun farmhouse signs, and that cozy pillow looks great too! I always make house decor, birthday decor and children activities. Having one of this will save me soooooo much time!!! I wish to win one for my girlfriend. She’s always wanted one. And her birthday is coming up in November this would be perfect. Make my dream come true!!!!! I’ve always wanted one!!! Pick me!! I’m in awe with what the cricut does! I know you can make so many different things. This would be perfect for a stay at home mom like myself. And I’d definitely put this to good use. And maybe start my own business from home since it’s impossible for me to work and find a babysitter! Help me SAHMOM OUT! What a cool giveaway! With cool ideas to boot! Thanks for the chance 🙂 And have a VERY happy birthday!! Happy birthday! I am also celebrating my 35th birthday this year! Happy 35th birthday!! I love the cricut and have been wanting one for a long time! and your blog makes me want one even more! I would definitely do lots of bulletin boards and DIY projects. I would use to make Halloween and Christmas tags for gifts and goody bags as well as for my 3 kids school goody bags. I love your crafty ideas and I would LOVE a Cricut to recreate some of my own!! Hi, I would use the cricut machine for so many new things. I have a newborn son (my first) which is very exciting for me. I would use it to scrapbook many of these new memories with him as well as make lots of decorations for all his first holidays. I would also use it to make mommy and me t-shirts. I would also love to make coffee mug designs, since I’ve been drinking a lot more coffee now. I love All things Cricut! Still learning but loving all of the Amazing options! There are so many things I would make! I have an 8 month old beautiful baby girl and she would always have the cutest cards and decorations for her birthday and I would definitely make her room extra special with signs made by the cricut! I would primarily use it for DIY gifts and to create items for my photobooth backdrops and props. I love to have a critcut, because I can’t afford it and to do paper flower and personalized Christmas gifts. Since I’ve never used a Cricut or machine like it before, I’d love to try my hand at all the different types of materials it can handle to see what really gets me. And, of course, diy Christmas gifts! Happy Birthday! Brilliant giveaway! I would make all the things!! If I won the Cricut I would use it to build my own business at home and focus on my dreams instead of being a part of someone else’s. I want to use whatever money I receive to help bring my two sisters to America and to help them have a better life here in the U.S. It hurts not being able to help them and to see them barely get by. I get emotional about their well being because I have lost a brother back in my country Guyana and I don’t want them to experience the same fate. I would love to use this machine to help better their future first. Using 70-80 percent of my proceeds that I make to save money for their future. I don’t want them to struggle any longer or have no one to encourage them. My dream is to see them happy. For my happiness, I would love to use my creativity for good. I would like to make people smile and laugh. This is what creativity is about. Impacting others and in return it brings a smile to you. Thank you so much for everything you do and for the chance to win this awesome gift! What a blessing and a humbling thing for a person to do, you’re truly an inspiration! Happy Birthday to you! I’ve been wishing for one of these for so long now but can’t afford one and being on permanent disability at 38 that’s literally pretty much all I do is craft, DIY, paint, etc…….. Happy Birthday! What a great giveaway! I’ve always wanted a Cricut! I would use it to make cute farmhouse signs and pillows fro my home. Happy birthday to You! Enjoy your day and have a Blessed one! Love this giveaway. Happy birthday! i’d love to do more with vinyl! Ohmygosh, this is so exciting! Happy, happy birthday to you! I hope you are getting lots of love and birthday wishes today to help keep you from feeling those bday blues. I have been wanting a Cricut for so long. I’m getting married in May and I have 29384239875 projects in mind. Thank you for doing this contest and I hope you have a wonderful day! I would use this cricut to design my own tshirts for our family reunion. Happy birthday! I would love to win this! Always wanted one to make all my teacher stuff! Definitely can’t purchase on a teachers salary 😉…you know how it is…. I would make decorative pilllw and signs! I am sure first thing I would make would be for my GrandGirly’s, probably matching shirts. I’d love to get creative with a cricut!! I think I’d do a good monogram or cute saying on my keurig like you did!! Whoohoo! I would use a cricut for so many projects! My sister is pregnant and I can already imagine all the onesies I could make for my nephew-to-be! It would be a great bonding opportunity for my mom and I because we both love crafting but often we don’t have the time for projects but a cricut would help with that! Happy birthday!! Too bad it’s such a dreary day! I honestly don’t know what I would make with a Cricut, but I hear they are awesome. I think they can be used in cake decorating applications, which would be great for me! I’ll go look up some ideas! So excited! Fingers are crossed. Husband not so excited as I would be taking my diy-ing to a whole new level! Happy Birthday!! My husband and I used our Cricut for EVERYTHING! Our kids raced remote control cars at Canadian Nationals last year and we made all of their body designs (except my daugher’s which I hand painted with flowers) and their numbers with the Cricut! We also homeschool our 2 oldest so we use it a lot for their projects and for our other 4 kids too. We lost everything in a house fire a year ago so we miss our Cricut so much!!! I would use my cricut to make cards, t-shirts, and wooden signs. I would make some of my wedding decor! I would love to win this. I am an aspiring teacher and I believe this would come in handy some much!!! Plus I love making stuff instead of going out and buying everything. This would be the best thing ever!!! Happy birthday 🎂 Christina! The Cricut is amazing and so much can be done with it! If I won this I would use it to “jazz” up my home and change up how it’s decorated. Hope you have a fantastic birthday! Happy Birthday and thank you for your kind and selfless act of generosity on your special day!! I love watching your vlogs, they bring such comfort. I would use the Cricut Explore Air 2 to make extra throw pillows for my sectional. Happy Birthday to you!! 🎉 I feel like we should be the ones getting you a gift! Hahaha Thank you for doing this giveaway! Gotta love Cricut! 😉 The possibilities with this machine are endless! Gosh so many things, would definitely try and start a small business. I’ve been so inspired but don’t really have the money right now to invest in one of these, winning one would be great!! Thanks for the opportunity and have a happy birthday!!! I would use the cricut to make shirts for my foster kids, and make some props for my photography! Happy birthday! Happy birthday! 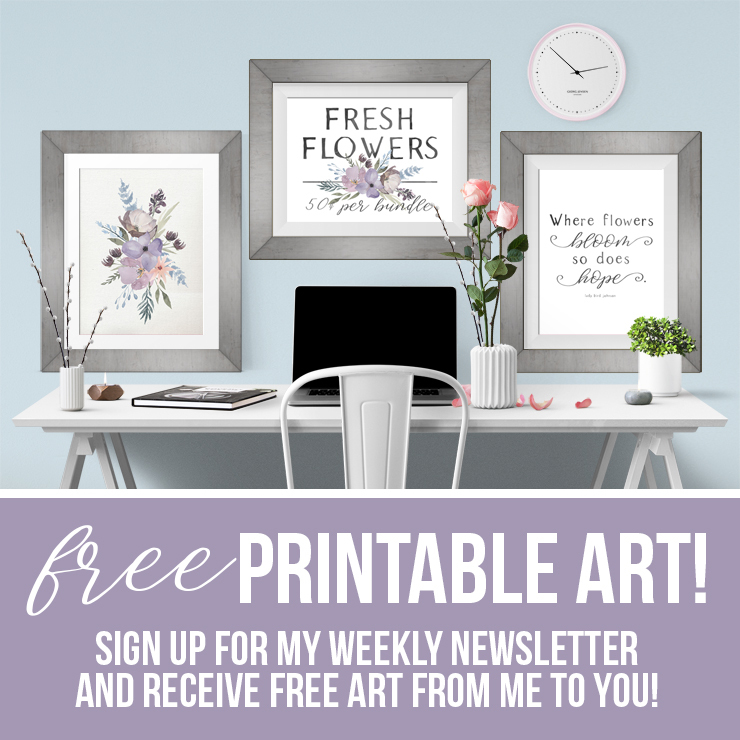 I like your free printables! I gotta tell you… I would LOVE to win this SO MUCH! This whole year has been nothing but paying off debt (student loans and hospital bills. a.k.a. the joys of life : ) and it’s been so LONG when I last treated myself to anything. We have put off taking trips, no extras and just focusing on being debt free. I’m sure there are so many others more deserving than I, but a girl can dream. What ever may come… I hope you have a wonderful birthday filled with lots of kisses and wishing coming true. HAPPY BIRTHDAY!!! I would love to win this and am grateful for the chance. I’d use it for so many things, but making signs would top my list. It’d be fun to use this to make gifts for people. Thank you! Happy Birthday! I would love to make anything with words! Happy birthday & thanks for the opportunity! I can’t wait to make EVERYTHING with a Cricut. Mainly I am interested in making my own clothing with vinyl transfers, but then I think I’d pretty much label everything in my basement to make it tidy and organized, but not to mention pretty! Happy Birthday!! What an amazing give away! Happy Birthday ! Absolutely awesome, the many possibilities this cricut makes is well worth it. Birthday party ideas,wedding planning, cards, iron-ons… you name it. Where has this been to make everything that much easier and faster. Thank you for the opportunity to win such a great prize. I would use one to personalize lunch boxes, the stainless steel mugs, and onesies as gifts. One can never have too many baby gifts! I’d use my Cricut to make the most personal gifts and cards! I would use the cricut for my kids birthday, teacher gifts oh so many ideas…. Happy Birthday! I would start by making a pillow! Yay! So excited I found this blog! Would love to win this! Love love love rustic home decor signs and would love to start a small business making them. Wow amazing! I’d probably make some stencils. I would love to make home decor items with the CriCut. Thanks for the giveaway! Happy Birthday!!! I hope your day was amazing! There are so many things that I would love to make with a Cricut! Decorated mugs, signs, pillows, and more! I would love this Cricut! My favorite color is mint. I would use the circuit to make home decor! The first thing I would make and have been wanting to make is pillows for my daughter’s room… With her favorite quotes! She needs some cute accent pillows that are just her style and I just can’t find them in this world, so going to have to make them! Happy birthday! Blessing to you and your family. I would use the Cricut to make signs for my home. Happy birthday and thank you for this opportunity!! Wow, what a great giveaway! Happy Birthday! I love all the best things you can do! I would def make decals or a pillow quote first! Ooooh I would make all the things!!! I would use it to make art and decals for my kids’ room! I would loooove a Cricut! My plans would be to use my abstract art designs on put them on everything! 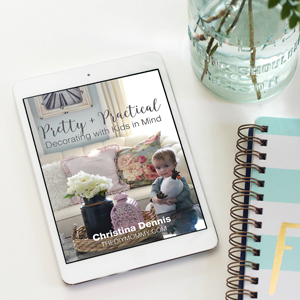 Pillows, cups, purses…you name it, I’ll try to do it. Pick me! I would make things for my classroom! I want to create a whimsical place for my students! I love to sew outfits for my kids and I’d love to make vinyl cutouts to put on the shirts i make them!!! I been wanting a cricut for a. Wry long time to create beautiful home decor frames pillows etc and my special birthday card my ideas are endless . Thanks for the chance have a wonderful birthday. If I won I would use the cricut to make t-shirts for our Disney trip and party decorations for my daughter’s birthday! Happy Birthday! I would use the cricut to make a felt busy book. I would use a Cricut to make decorations. I would use it to make my wedding invitations to start. I would use my new Cricut to make Christmas decorations & gifts. I had no idea you could make such neat & beautiful things with it. Thank you, Christina, for opening your home & family to us. You have a very sweet spirit. I cannot have too many personalized mugs. I would make a cupboard full of mugs for sure!! Great giveaway to celebrate! Happy Birthday! I would love to make some mugs for the Holidays, some pillows, use for scrapbooking…oh so many uses. I don’t have any cutting device other than scissors so it would be put to great use. Thanks for your kindness! I’ve been wanting a Cricut Explore pretty much since they came out! I have so many projects I could use it for… I’ve had years of planning. HA! I would definitely use it to add custom lettering to my mugs, and I love making custom slogan T Shirts. The possibilities are endless! I would make lots of things with this!! Happy Birthday and Thank you for the chance! I would love to make so many things but especially mugs for my yearly friends Christmas party!!! You have made some beautiful things!!! I love crafting, I am always thinking of what I can make next. Right now I would love to use the Cricut for making stencils for home décor. I am a big scrapbooking fan so it would be great for that as well. Happy Birthday!!! This is so exciting! Happy birthday!! I’m just imagining all the things I could do with this machine! I hope you are having a Happy Birthday! I would LOVE to win a Cricut to make signs and pillows – and other neat crafts. I am a DIYer and furniture refinisher and the machine would make a perfect addition to my crafts and items I’m able to create/sell! Happy, happy birthday!!!!!! Mint is one of my favorite color too! I would get crafty for my son’s birthday! I would love to create customized gifts for my friends and family. I love how easy it is to work this machine and how versatile it is! I love making special birthday shirts for my kids each year. So that would be my number one project if I were lucky enough to win… But i know I wouldn’t stop there!! There’s fellow blogger friends that loveeeee the cricut and I’m always super jealous of their journal stickers! I don’t even know with which project I would start but I would make all the things! Happy birthday? Wish you many more. I love personalized gifts and the Cricut will be such an amazing tool to make adorable t-shirts for my nieces and nephews. I would love to make personalized mugs and journals. Willing this would be a great opportunity for me to explore my creativity. Thank you so much for this opportunity, Happy Birthday!! I would loveeee this machine for Stenciling- as a Hobbist in furninture/craft making this would be an awesome win! I’d love to start out making shirts and then try pillows and mugs. Never used a Cricut before and would love to try it out! Happy birthday and thank you for such a great giveaway. Happy birthday Christina 🎂 Hope you have a wonderful blessed day. I would love to win the cricut giveaway. I have two little grandaughters that I would love to make pillows and things with them and for our home. Thank you and God Bless. The possibilities are endless, what a wonderful giveaway. 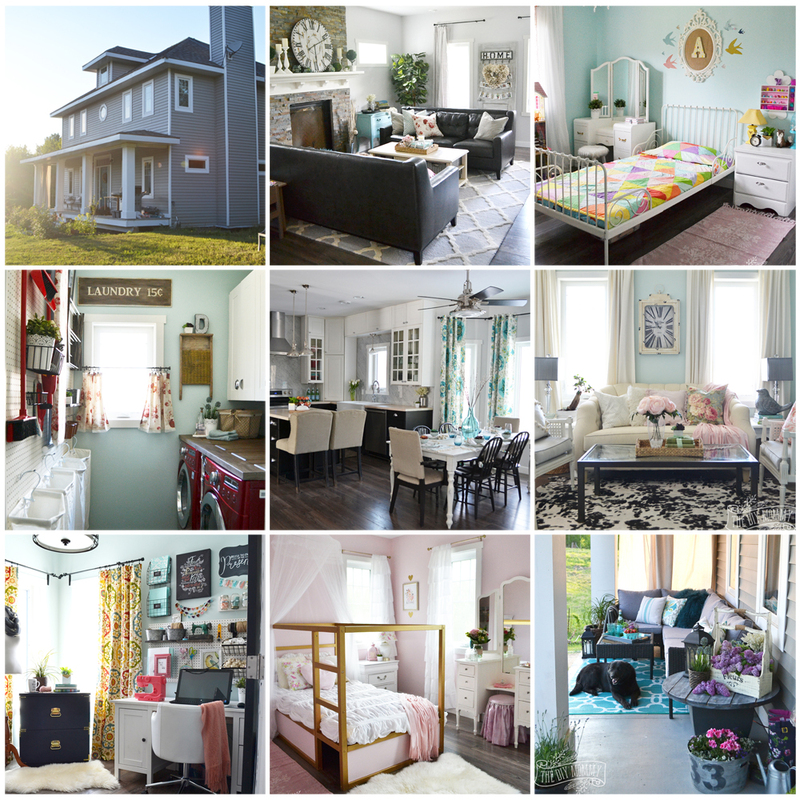 The possibilities are endless, what a wonderful giveaway, I love your blog. What a wonderful giveaway! My Cricut died a couple of years ago and I miss making things. I would probably make vinyl items for my car and daughter’s phone. I have been dreaming of having the cricut ever since I first laid my eyes on it. The things I can create are limitless. I love to craft and hope to open my own online boutique of hand made items including baby clothes and accessories as well as unique decor for the home. The cricut is what I need for my business to thrive. Also it would give me the opportunity to make an income from home while I stay at home with my daughter. I love your blog! I just bought my first home and am so excited to start decorating it. I would use this so much as I am wanting to make many of my decorations! The possibilities are endless! I don’t know what I would make first – maybe some fun signs for the playroom or some personalized drinking glasses. Thanks for the opportunity and Happy Birthday! Happy birthday! 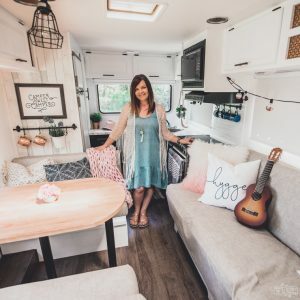 I like anything that has momograms , like the diy mugs , love the pillows I woud realy love to have a Cricut printer …I love to paint, all crafts , love making new ideas with my 3 girls. Thank you. I want to make EVERYTHING!!! I would probably start off with making lots of holiday decals and go from there. I have wanted a Cricut forever but could never justify the cost. Happy Birthday!!! Hi fellow Canadian, YouTube and blogger! I’m over on the other side in Nova Scotia 💕 Love your blog and channel. Happy Birthday and thank you for the chance to win this beautiful machine. Stickers, wall decals and so much more. Happy Birthday! So nice to give us a gift when we should be sending them to you!!! I would love to have one! as a stay at home mom I am trying to find new hobbies and your are a truly inspiration! HAPPY BIRTHDAY CHRISTINA🎵🎵🎵🎵🎵 I WOULD MAKE SIGNS AND SMALL BANNERS AND START AN ETSY SHOP…… GOOD LUCK TO EVERYONE……. I have so many ideas! I own a small business and have always wanted to have full control over my product labels so that would be number 1 on this list of things I’d make with a cricut. I also really like rustic wood signs, and it would be great to be able to make my own. Definitely, some stencils for homeschooling posters would be another big one. I would love to win this sooo much!! Happy birthday! Happy Birthday! A Cricuit machine would make my life easier! I would use it to make vinyl stickers and to help my make signs and holiday crafts! Happy birthday! And this is an amazing giveaway! Cheers to 35 years! Also I’d make things for my event planning company for marketing and also events such as personalized items for birthdays, showers and weddings and also for my baby girl! I am so intimidated by these types of machines. But I would sure love to have one to experiment and create with. Happy belated birthday! Hope it was fabulous! So excited about this giveaway. Thank you!!! I would love to make some shirts for my boys with HTV and decorate a picture frame for my mom for Christmas. Something for my grandsons. Have never used one, but have always wanted to! Thanks! I just moved and have an even smaller kitchen! I would use my Cricut to label jars, baskets, shelves, etc to try to organize my new pantry! Happy Birthday! I would make some decals for my mugs! Happy birthday!!! I would love to use it to make more crafts from your site! I would love to make wall art. Some camo items for hubby! I would make everything! Shirts, stickers, signs! I would want to do it all! If I had a Cricut, I would make decals for mugs and decorate pillows. I love the ones you have made. I would make some wall decals for my home. Thank you! Fantastic giveaway! I am an avid crafter and have been dying for a Cricut ever since they came out!!! Thank you for the chance! Those decals! I need that adorable decal on my Keurig! Love it!! I would love to make vinyl decals for home decor! Hope you have the most amazing year yet! I would make stencils to make signs and decals for friends, family, and myself! As a first time mommy there is plenty I would do with the cricut. Happy Birthday. I am also a September baby. I’d love to add to my sewing with the cricut! It would be a game changer! Can I just say I absolutely love your coffee mug and machine design even though I do not drink coffee myself. I would love to try making my own Journal/Planner from scratch including planner stickers which would be much easier to cut out with a machine than by hand. A big thank you and Happy Birthday to you, I am turning 30 next year and even though I am not as successful in life a I thought I’d be 10 years ago, I am still very grateful for everyone and everything I have and I hope you do as well. Wishing you all the best! I would have fun learning everything I could do with it. The possibilities are endless! I would love to be able to make gifts for family and friends! Wishing you a Happy Birthday! I love your comments and to hear someone so positive really does my heart good. I love your projects and think you are amazing! Such a good role model. I know it takes a lot of time and effort for you especially with young children. I have always wanted a Cricut machine and love to see what others make that have one. I know it would be such an addition to my crafting and would send it to the next level. I don’t know how to use one but it would be fun to learn and make all those professional looking projects. Wishing you all the best now and in the future. I would make wall art for my boys room! I would love to make things with the vinyl. I would like to make my Christmas cards this year with a Cricut. Lots of gifts! Like decals on mugs, those 3d pictures with a decal maybe on the glass. Oh and of course wood signs with fitting quotes and what not. Such a great tool for diy. Would be great for the holidays. I would make birthday cards with a Cricut. This would be so much fun to win!! I love to craft and spend time with my kiddos this would be a great tool to teach and learn for our family. I love your blog!! Happy birthday!!! There r so many things…wall decals, home decor, gifts, etc I’ve been wanting one forever! I’m really into making cards right now, so that’s what I would use a Cricut for. I would love to make shirts for our trips to Disney! You are so talented! I’d like to get my hands on the circuit so I can give some of your projects a go! I would make alllll of the things 😍. And the mint Cricut would match the colour palette of my new craft room beautifully! I’m a new mommy of a 3 month old boy and I would love to use the cricut to make my son a scrapbook 📔 With all the memories of the things he has done for the first time, I would also love to use to cricut to make decorations to celebrate each holiday 🍂🎂⛄️🎄for my little one. I would use it to make mommy and me matching t-shirts 👚👕. Another very useful item id like to make is personalized coffee mugs ☕️ Because now a days sleeping in isn’t an option 😄. I would really love to be able to win this cricut machine to use it for so many things , I hope we’re lucky enough to get chosen ❤️ Thank you. I want to make longitude and latitude signs for my niece and my nephews upcoming weddings. Really want one of these but can’t afford with 3 kids in college! Fingers crossed!! I would make fabulous labels for my christmast gifts! Happy Birthday! I have a long list of things I want to make-anything from signs & home decor, to Christmas gifts and ornaments. I would use this to make homemade cards. I would love to make decals for coffee mugs and decorations for Thanksgiving and Christmas. I would make stencils for my furniture! Love!!! I just spray painted my mailbox and this would be perfect to add a little something to the front of it! 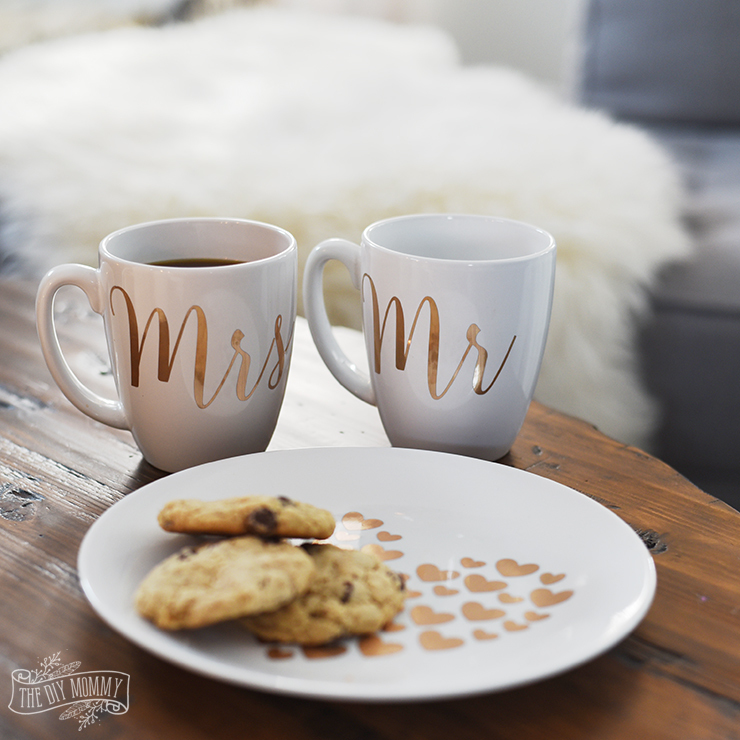 I am obsessed with printed mugs and farmhouse signs and would love the cricut to create professional looking designs! Fist and foremost Happy Birthday! I would love to be able to create t-shirts, pillows, coffee mugs, monogram everything, and the list just goes on and on! I am interested in monograming everything. Personalizing. I would love to make personalized coffee cups like the ones you did . They are awesome and LOVE the quote on the Keurig !! I would make banners with a cricut. Love the diy you do, I get on utube everyday in the morning and have to see what you been up to. Your home is so beautiful . I know you put in many hours . I know I do. But, it’s nothing close to yours. I’m still unpacking…. My sister is having a baby boy soon so I would love to make some cute pillows for his nursery! I would love to create fun pillow designs! I would like to create a monogram for a blanket for my Mom. She’s in the early stages of dementia and is always cold. I think this would be a great gift for her for Christmas. Fingers crossed I win, but good luck to every one who entered. I would like to make some wall decor with the cricut. I would make special personalized holiday tags for my family & friends’ Christmas gifts this season! The possibilities are endless! I’d make personalized mugs for my friends, fun pillows for my daughter and anything else that catches my eye! Those personalized mugs are so great, I think I’d try those first. I would make a photo banner. I think I would go around labeling everything. Which sounds silly, except to learning children! I would start off my redecorating my master bedroom to an Egyptian theme with custom made decor!